Stunning McCormick Ranch Home For Sale in Estate Los Arboles! To call this beautiful Estate Los Arboles home in McCormick Ranch a simple remodel would be a disservice. This Camelot Embassy model has been utterly transformed from a dated time capsule with great bones and potential into a modern Tuscan showplace. This was no slap-dash investor fix and flip with the same formulaic greys and whites that everyone else is currently buying at Remodels R Us, but a labor of love crafted to the demanding tastes of an owner who actually lived in the home. 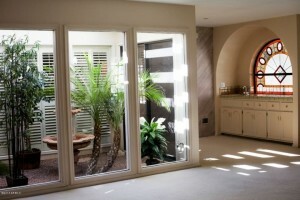 The wall between the living room and family room was opened up to give the home a more modern, great room feel. The sunken living room, which was common in homes of this vintage across McCormick Ranch, was filled in. 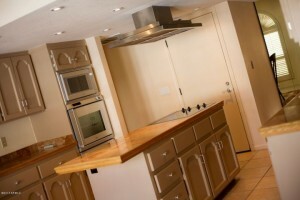 The kitchen was opened up to the family room … and oh, what a kitchen it is! All new (in 2014) cabinetry with loads of storage, slab granite counters, stainless steel appliances and vent hood, pendant and recessed lighting, a large walk-in pantry, breakfast nook with bay windows and more make it a must see. Two gunslot windows on either side of the fireplace were replaced and expanded to bring in more natural light and take advantage of the view of the inviting backyard. Where there was once a center atrium and bar, a huge walk-in master closet (complete with an organization system) now stands. The original closet was removed, paving the way for an expanded and fully remodeled master bathroom with a separate tub and shower. Anyone familiar with the limitations of late 1970s and early 1980s construction knows exactly what a rarity it is to find a decent sized master bath OR a generous master closet in these parts, let alone BOTH! Indeed, this home is a unicorn. Versailles pattern tumbled travertine stone flooring stretches throughout the entire home. Plantation shutters cover the windows, not that excessive sun is an issue with the ideal North/South exposure on a prime corner lot. Elevated ceilings greet you at the front door, accentuating the modern feel of the architecture. The fourth bedroom was converted to a den/office; its entryway relocated to the front foyer. Even the laundry room is a work of art with new (2014) cabinetry, granite counter, and sink. 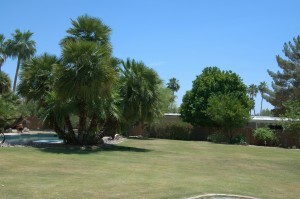 The backyard is, itself, a great place to entertain under the large covered patio, or cool off with a dip in the pool. Not relaxing enough? Slip into the in-ground spa that underscores one simple, but not to be overlooked asset this home has over other properties across McCormick Ranch: natural gas. Estate Los Arboles is one of the ONLY pockets of McCormick Ranch that is serviced by Southwest Gas, meaning you can actually heat a pool here without spending a small fortune on propane. Yes, I’m looking at you, winter visitors! With immediate neighborhood access to the walking path / greenbelt that stretches throughout the Ranch, it is a quick stroll to Comanche Park to the East, and the booming shopping center of Paseo Village to the West. New establishments like The Vig, Luci’s at the Grove (currently under construction – slated to open in the fall), Starbucks, and LA Fitness join community favorites like Lox Stock & Bagel to turn this once-sleepy center into one of the most vibrant hubs in the area. And you don’t even need a car to get there! This is a unique opportunity to take advantage of a unique property. Don’t miss it! We're sorry, but we couldn't find MLS # 5726130 in our database. This property may be a new listing or possibly taken off the market. Please check back again. 8325 E. San Rosendo Dr – Coming Soon in McCormick Ranch! Tired of living on Grey Street? Sick to death of the lifeless color palettes and hyper-modern finishes that every investor/flipper under the sun is using these days? Looking for something with a little more … soul? Coming soon to Estados De La Mancha in McCormick Ranch, this unique semi-custom home flies in the face of convention with its old world charm and warmth. 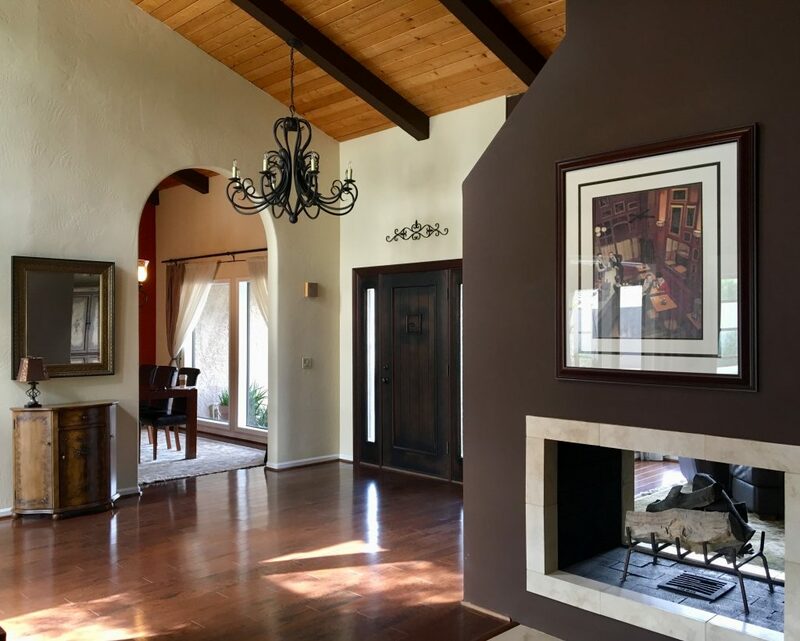 From the rich hickory wood floors to the tongue and groove wood ceilings and everything in between, this is the home that frustrated McCormick Ranch home shoppers have been pining for as they sift through the overpriced ocean of greys and whites that litter the market at present. While nearly everyone loves the location and amenities that McCormick Ranch offers, there are four primary complaints with the standard McCormick Ranch home: 1) small, closed-in kitchens, 2) small master bathrooms, 3) small master closets, and 4) sunken rooms. This is the rare gem that carries none of those burdens. The generous kitchen opens to the family room, making it a wonderful entertaining home. A two-way fireplace separates the living and family rooms into two distinct areas without closing them in or making them feel isolated from each other. Even the back patio is a revelation for entertaining or private reflection. The master suite includes a luxurious bathroom with separate shower and tub, and a walk-in closet that is the envy of every neighbor who had to sacrifice in this area. There are no sunken rooms, much to the delight of anyone who has been through enough McCormick Ranch homes to know exactly how rare that is. Living rooms, dining rooms, family rooms, etc with differing elevations is a way of life for many in the area. Thank you very much, 1970s. Fortunately, no such tripping hazards exist here. One of the four bedrooms includes an en suite bathroom, and is split to the other side of the home, making it an ideal guest/in-law/teenager suite. Relax on the front patio, take a dip in the pool, or stroll the Camelback Walk multi-use path that follows the greenbelt past Cochise Elementary School and Mountain View Park just down the street. Offered for sale at $720,000, this one will sell in a flash. Call us today to get in before the rush and see it before we go live on the MLS this weekend! Full property details to follow, stay tuned! 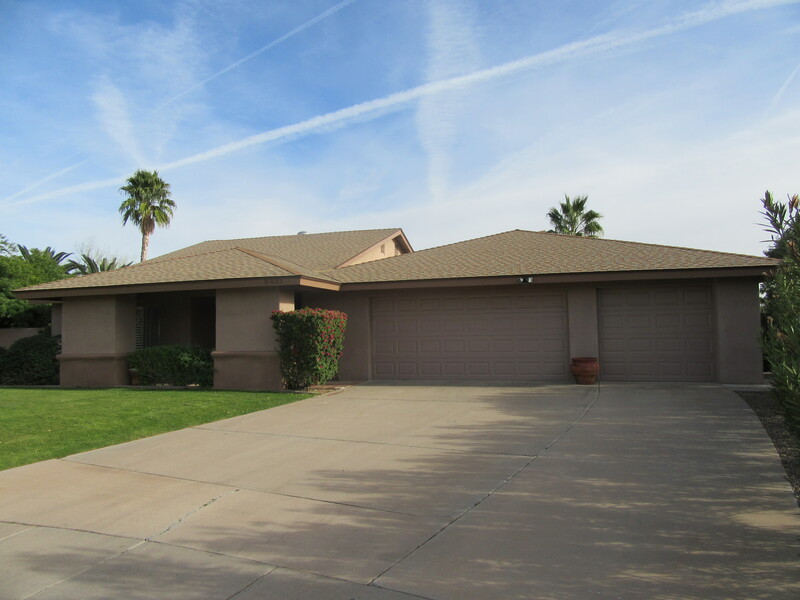 Just Listed: Yes, You Can Have a 3 Car Garage in McCormick Ranch! 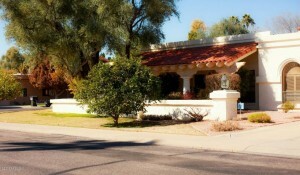 Welcome to beautiful McCormick Ranch in sunny Scottsdale, Arizona! 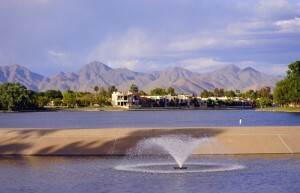 Revered for its lakes, miles of multi-use paths, restaurants, golf, public parks, top rated schools, greenbelts, and housing architecture that has stood the test of time, McCormick Ranch remains a highly sought-after community four decades after its original inception. With all that Scottsdale’s first, and arguably greatest, planned community has to offer today’s home buyer, there is something that typically must be sacrificed to live here: a third car bay. You just don’t see as many three car garages here as you do in newer developments. While many accept that limitation as a small price to pay for all of the perks of home ownership that come with this centrally located community, some just are not willing to compromise and are forced to look elsewhere, much to their regret. For those of you who wish to enjoy the McCormick Ranch lifestyle, but must have that third car bay, you are in luck … if you hurry. 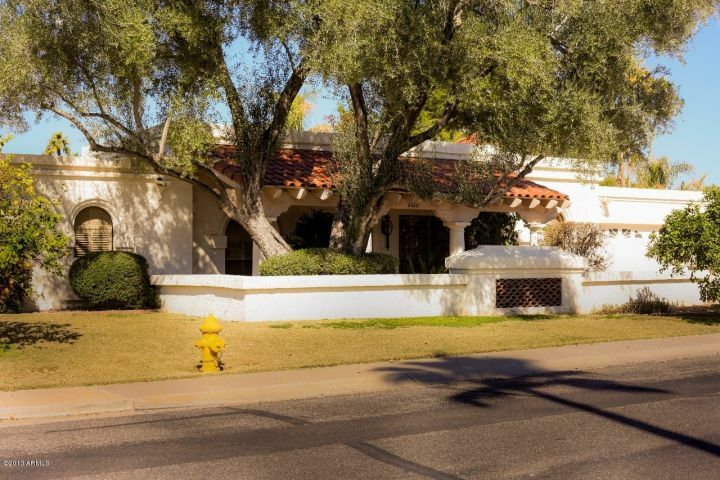 Just listed, the beautiful Spanish home at 8401 N. 86th Way is that rarest of things: a remodeled McCormick Ranch home with great room architecture, soaring vaulted ceilings, swimming pool & spa, large 1/3 acre lot and … drumroll, please … a three car garage! Far from just an extra parking space, this gem includes Brazilian teak wood and travertine stone flooring, remodeled kitchen with refinished cabinets, granite counters and stainless steel appliances, remodeled baths with tumbled stone (snail shower in master), vessel sinks, marble counters, new fixtures, new roof and A/C, plantation shutters, and much, much more. I could drone on, but as they say, a picture is worth a thousand words. Feast your eyes on eighteen thousand more. Keep reading for a complete list of property details or click to learn more about McCormick Ranch. Contact Paul Slaybaugh at (480) 220-2337 to view this unique property today. We're sorry, but we couldn't find MLS # 5555762 in our database. This property may be a new listing or possibly taken off the market. Please check back again. 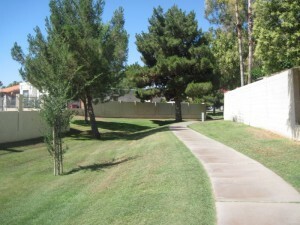 Steps from the Walking Path in McCormick Ranch! House after house you visit. This one too big, that one too small. This one with a funky added “bonus” room, that one with a host of dubious “updates”. Just when you are ready to give up the hunt, the skies part, and the perfect home appears on the market horizon like Odysseus finally returning to port. And it sells in like two minutes … before you even get a chance to see it. Don’t let it happen again! Situated in the coveted Estate Los Arboles subdivision of McCormick Ranch, this nearly 3200 square foot Camelot home offers the perfect palate for your vivid cosmetic ideas. Structurally sound with great “bones”, this Embassy model includes all of the architectural features that you have been struggling to find in McCormick Ranch: 4 bedrooms, 2.5 baths, 3100+ sq ft, elevated ceilings, large island kitchen, large walk-in pantry, recessed lighting, new(er) kitchen appliances, wet bar, fireplace, natural light-providing atrium, master suite with sitting area, large guest bedrooms, heated pool & spa, and more. Some of the cosmetics are in need of updating, and the seller has carved out some room in the listing price for you to bring your own ideas. Why pay for someone else’s remodeling when you can pick exactly what you want? 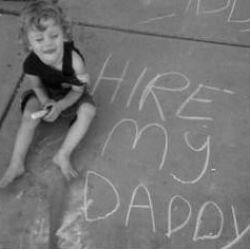 Don’t mistake this opportunity to add your own finishing touches for a distressed home, however. 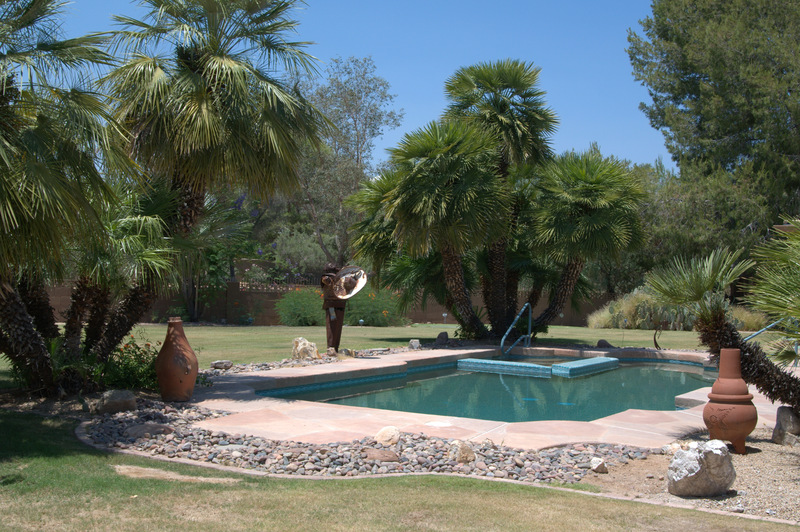 The owner has taken exceptional care of the property, adding a new roof in 2010, re-plastering the pool, replacing the hot water heater, and performing other needed maintenance over the years. The heavy lifting has been done. All that is left for you to tackle is the fun stuff! 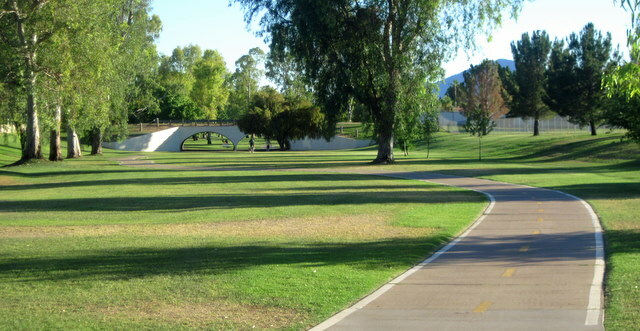 Located mere steps from the famed McCormick Ranch greenbelt, all of the amenities of McCormick Ranch are readily accessible and walkable. With the Paseo Village Shopping Center within minutes on foot in one direction (McDonalds, LA Fitness, Sumits Yoga, Lock Stock & Bagel, Walgreens, etc), and Comanche Park immediately next door to the subdivision in the other direction, there is no shortage of choices for the day’s agenda. It’s up to you just how leisurely or productive you want to be. 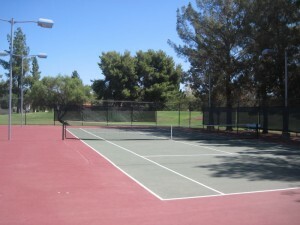 Come see what McCormick Ranch living is all about. Contact Paul Slaybaugh today for a viewing of your new home and community. And be quick about it. Opportunities like this do not come often, and do not stay late. Use the interactive street map below to take a tour of Estate Los Arboles! 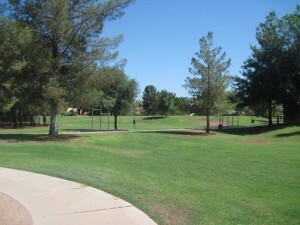 Oversized Lot For Sale in McCormick Ranch. House Included. To get your hands on one of the lush, oversized lots that are about as common as a duck-billed unicorn in other parts of the Valley. Even within the confines of McCormick Ranch, there are lots, and then there are LOTS. Our new listing at 8001 N. Del Laton stands apart from the crowd with a whole lot of lot. 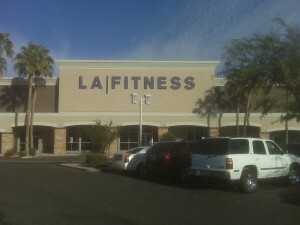 No equivocation, this is one of the best pieces of property within Scottsdale’s most popular master planned community. Featuring private gated access to the walking path that runs directly behind the property (leads to Rotary Park), this one of a kind parcel of almost 18,000 square feet is simply magnificent. Highlighted by a heated pebble-tec pool and spa, the backyard is the paradise your entertainer’s heart desires. Whether you use the generous space to stage a wedding reception or game of tackle football is up to you. Did we mention this prized parcel comes with a house? Just shy of 2500 square feet, the Von Dix built home in the Tierra Feliz subdivision features 3 bedrooms and 2 & 1/2 baths. Originally four bedrooms, one room was converted into, perhaps, the largest walk-in closet in McCormick Ranch. Over the past decade, the owner has eliminated the dated step-ups and step-downs that vex many McCormick Ranch home shoppers, and opened up the wall between the living room and family room to create a flowing great room concept. 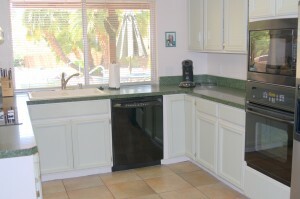 The kitchen has been updated with slab granite counter tops, painted white cabinets and newer appliances. Newer flooring throughout the home includes faux stone tile in the main traffic areas. The master bath has been completely remodeled with slate stone tile flooring, counter tops and shower/tub surrounds. The tub, itself, was added where the original closet had been. Ever cognizant of the warm, sunny days and your energy usage in the summer months, the owner has installed plantation shutters throughout much of the home and replaced the original sliding glass doors in the family room and the bay windows in the breakfast nook with dual-pane Pellas. This home does not include the soaring vaulted ceilings that certain buyers initially covet, before realizing that extra cubic footage requires cooling. The newer A/C will help keep those June – August electric bills down as well. Throw in a roof that was replaced a couple years ago and a complete exterior paint job in May of 2012, and you’ve yourself got one special offering. Are you the type that likes to add your own finishing touches? The sky is the limit in terms of the value that can be supported on this lot in this location, so bring your ideas both big and small. The setting can achieve whatever your imagination can conceive. We're sorry, but we couldn't find MLS # 4762151 in our database. This property may be a new listing or possibly taken off the market. Please check back again.